This has to be a scam. I don’t have a BoA account. Someone who does should be wary. 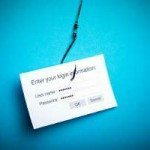 We recently have determined that different computers have logged onto your Online Banking account, and multiple password failures were present before the logons. We now need you to re-confirm your account information to us. If this is not completed by January 23, 2010, we will be forced to suspend your account indefinitely, as it may have been used for fraudulent purposes. We thank you for your cooperation in this manner. This is a phishing site, which is in fact a subdomain of the domain kaswert.info, and not bankofamerica.com. Unsuspecting or careless victims may often read just the first part of the link after the http:// and failed to notice the end. In fact, it is important to determine the full domain name to be safe. The full header of the email is attached. Note that the return path or the originator email address may “appear” to come from the valid domain name. But this is not the trick. The scammers does not care if you actually reply to the email directly (i.e. press the reply button on your email client). All they want is for you to click on the link to their phishing website. The “originator” email address is just faked to make it looks like it comes from the real website. By the looks of it, the mail probably came from a compromised server in Malaysia.